Courtesy of Torrey Properties, Nancy Novak. This one story two-bedroom plus den rarely on the market is located in the very desirable Lomas Santa Fe Country Club Villas. Low density – only 5 units per cul-de-sac – lives like a single family detached home. Vaulted ceilings & fireplace in living room, kitchen with island, ceiling fans, dual-pane windows & doors. Two-car attached garage. Sky lights in kitchen & bathrooms adds to the lightness & brightness of the home. View of hills & majestic sunsets! Private gated front entry patio with pavers. 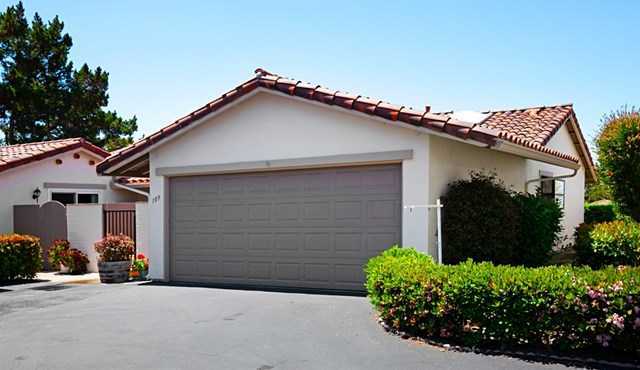 Please, send me more information on this property: MLS# 190020126 – $774,900 – 109 Linares Ct, Solana Beach, CA 92075. I would like to schedule a private showing for this property: MLS# 190020126 – $774,900 – 109 Linares Ct, Solana Beach, CA 92075.